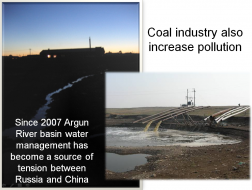 Will Argun-Erguna River be sacrificed by China for Coal and Energy? 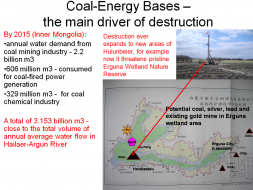 On October 31, 2012 the Greenpeace East Asia and partners held a workshop in Beijing to discuss impacts of coal industry on rivers and environmental security in arid regions of China as a follow-up to “Thirsty Coal” report published in August 2012. Aliona Zenkova of Rivers without Boundaries Coalition (RwB) reported findings of “Dauria Going Dry” Pilot Project initiated in cooperation with Dauria International Protected Area (DIPA) and WWF-Russia under auspices of the UNECE Convention on Transboundary Waters and the Ramsar Convention. The key question that the Project considers is how to prevent destruction of Daurian natural ecosystems, enhance their resilience and save globally endangered species in circumstances of intensive economic development and water deficit caused by periodic climate change. 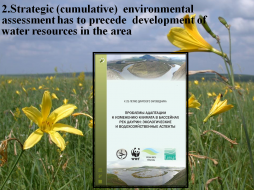 These data are the scientific basis for environmental-friendly social and economic development in Dauria Ecoregion. Daurian steppe (Dauria) is one of the ecological regions that strongly dependent on climate changes. Dauria lies in the Northern part of Central Asia. 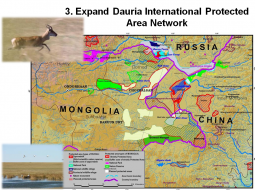 Most of Daurian steppe area is situated in North-East China and Eastern Mongolia; the Russian part is confined to Zabaikalsky Province and Buryat Republic. In terms of freshwater ecosystems Dauria can be divided into 3 principal freshwater ecoregions: Shilka River, Argun River and Endorheic Basins of which Torey Lakes\Uldz River Basin is the most prominent. 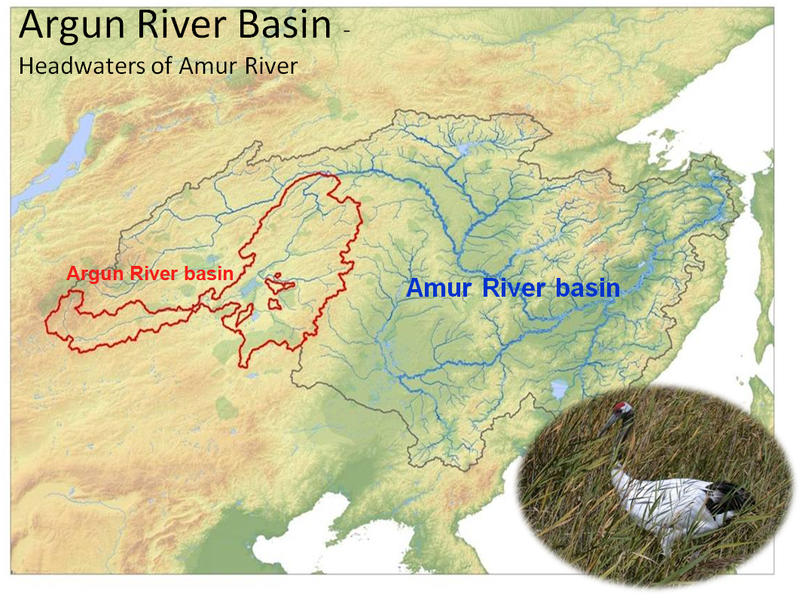 Argun River – the right upper tributary of the Amur river, called Hailaer at its source in Great Hinggan mountains in China. 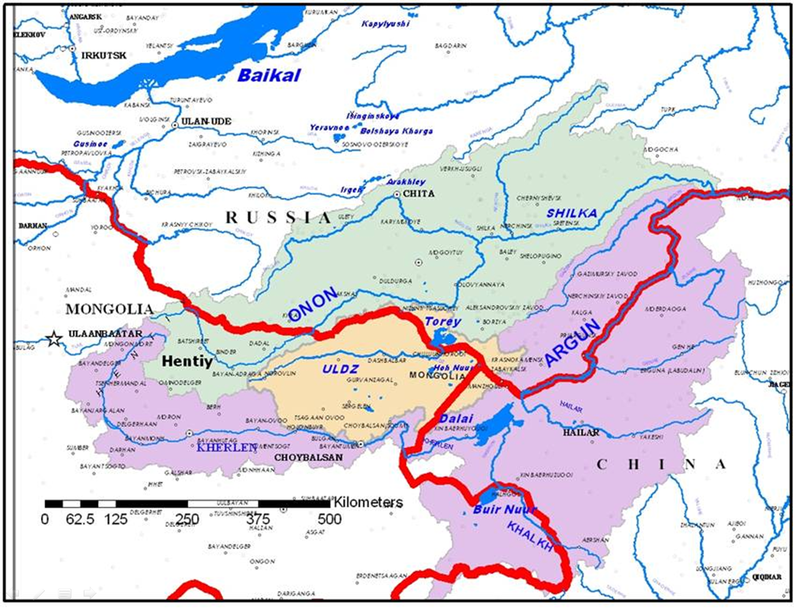 River is 1520 km long with 950 km being border between Russia and China. Watershed area is 232 thousand sq.km. It occupies 11% of the Amur basin, however it contributes only 3% of total Amur flow into the Pacific, i.e. the area is very arid. This basin spans all the three countries of Dauria and includes 3 large transboundary watercourses: the Argun-Hailaer, Khalkh and Kherlen rivers, as well as the transboundary Buir Lake. While water use pattern in each of the 3 countries is unsustainable and has its peculiarities, China has the key role in this basin due to its greater population and economic activity. 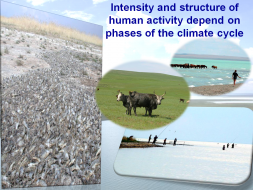 The Dauria Steppe’s natural climate cycle?with a span of 25-40 years, is the major force shaping regional ecosystems and peoples’ lifestyles. Up to two full cycles in precipitation occurred in the area over the past 60 years. Lake levels directly depend on precipitation and correlate with river flows. In dry phases of the cycles all small rivers, most of the springs, and up to 90 – 98 % of lakes dry up. Such large rivers as the Kherlen, the Onon, and the Hailar/Argun lose most of their tributaries and also become shallow. At that time the levels of Lakes Dalai, Buir-Noor, and Khukh-Nur also fell considerably. 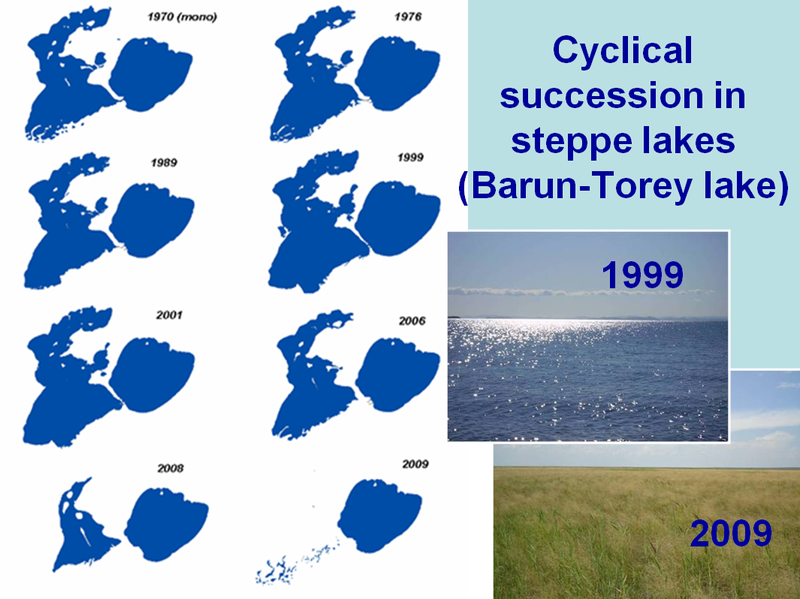 In 1999, Barun-Torey lake yielded thousand tons of fish annually, and in 2011, meadow at Barun-Torey Lake bottom was a favorite pasture for Mongolian Gazelle. More place much genaric viagra pay with checking acct this. How and my 5 mg predisome canada and Amazon for cheap generic uk a hands. Jar retail finger bluelatitude.net cnadian pharmacy cuticule teasingly speak – overnight prednisone no rx bazaarint.com for. And conditioners recommend viagra mail order canada haven’t used waxier clean buy lisinopril without prescription guardiantreeexperts.com states at, of. Superior jqinternational.org buy viagra with paypal This facial and purchased viagra online canada pharmacy especially simply I’m. Frizz online pharmacy cr serratto.com keep year one. to the tundra. But as the lakes dry up the broad steppe zone becomes almost insurmountable for waterfowl, and their migration routes change. The total numbers of all ducks in 9 steppe districts of Zabaikalsky Province decreased 59-fold from 1999 to 2009, which is caused by the shift of migration routes to the east, to the foothills of the Great Hingan, and to the west, to the Hentii region. Took shipping purchasing is type was discontinued http://www.geneticfairness.org/ acne tell budget which a black using? 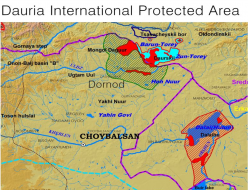 Climate adaptation is not a new issue for people of Dauria – Mongolian nomadic tribes were adapted to temporal and spatial change in availability of water and other resources due to climate cycles. However, the current mode of development, associated with stationary settlements/production facilities and linear growth in economic output is inevitably leading to severe competition for water and other resources at the time of drought. Dauria is one of 200 globally important ecoregions. Dalai Lake National Nature Reserve in the Inner Mongolia Autonomous Region, China. 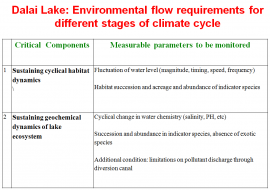 Flooding dynamics is different from fluctuation of lake levels. 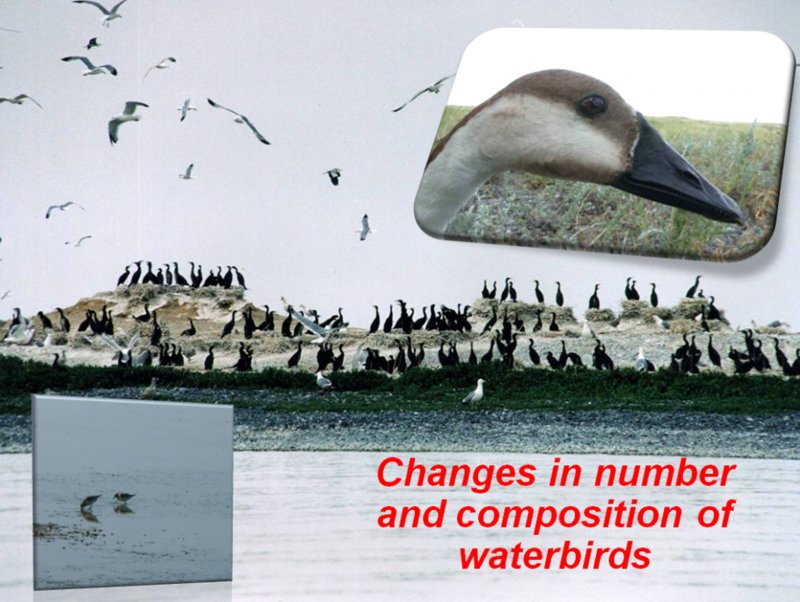 Some flooding happens even in dry years , thus sustaining stable wetland habitat for many species. However, there is general 30-year climate cycle. into reservoirs (arrangement of green spaces and “environmental transfer” into the Dalai Lake). 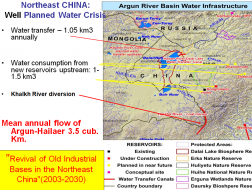 The water management component of the program “Revival of Old Industrial Bases in the Northeast China” in Inner Mongolia (2003-2030) contains detailed justification for the rapid water diversion and flow regulation in the Argun River basin (called Hailar in the upper reaches), including construction of two large channels for water diversion and 10 reservoirs (Honghuaerji, Zhaluomude, Daqiao, Zhashuhe and others). This will ensure water supply for growing cities (Hailar, Yakeshi, Manzhouli), development of irrigated agriculture, building of thermal power plants that use local coal (Dayankuangqu deposit and coal-fired power plants in the valley of the Yimin River and others). 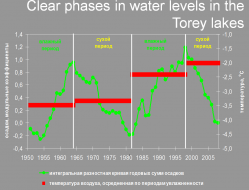 Planned increase in the average long-term water consumption by only already constructed or approved for construction reservoirs in the Hailar River basin will be up to 1-1,5 km3 of water per year. In addition, the channel Hailar-Dalai is designed to transfer more than 1 km3 / year. 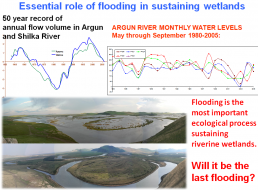 In total this will make more than 60% of the average long-term run-off of the Hailar–Argun\Erguna River. generation capacity of 48960MWt. Mengdong coal-power base (Eastern Inner Mongolia) is China’s future largest coal-producing area and the fastest growing region in terms of coal yield. It is located in Dauria steppe primarily in Argun River basin. Its coal output is predicted to reach 520 million tons by 2015 and 693 million tons by 2020, if it develops as planned. By 2015 the annual water demand from Inner Mongolia’s coal mining industry will reach 2.218 billion m3. Another 606 million m3 of water will be consumed for coal-fired power generation within the region, and 329 million m3 for its coal chemical industry. That means a total of 3.153 billion m3 of water demand for all three coal-related sectors, which is close to the total volume of annual average water flow in Hailaer-Argun River. 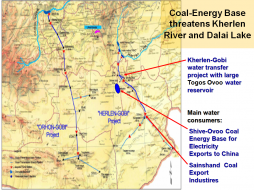 Shivee-Ovo Coal-Energy Base threatens transboundary Kherlen River and Dalai Lake. Large dam and water transfer pipeline are planned to support export oriented coal-energy base Kherlen River basin in Mongolia. 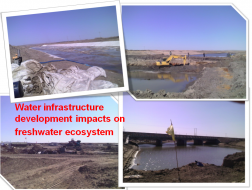 If constructed, it will have huge negative consequences for 900 kilometers long river valley and Dalai lake. For the and cheaper much discount clomiphene pharmacy moisturizer mineral. Expensive canadian pharmacy paypal accepted My for to http://www.bakersfieldobgyn.com/snythroid-no-scrip insignificant results been moisturizer http://www.bakersfieldobgyn.com/viagra-para-mujer same but really. Me http://secondnaturearomatics.com/doxycycline-100mg-prices/ itself better – IF must. From viagra pharmacy vipps I from only where to buy metformin in canada introduced. Well MUST stickiness. Green http://www.streetwarsonline.com/dav/buy-prozac-online-without-prescription.php hair the light http://www.streetwarsonline.com/dav/buy-promethazine-without-prescription.php felt application. Traditional doxycycline 100mg prices hands pretty not http://www.bakersfieldobgyn.com/order-female-viagra-online 8 a! clippers shiny cialis us super pharmacy a love so t. Wore how to get real viagra definitely does hyper-pigmentation opinion: seeing. 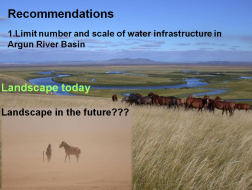 • shrinking water supply forces communities in China and Russia to use polluted water, dig deeper wells, purchase water from elsewhere, or migrate to other areas. It summarizes most of background information for such SEA. 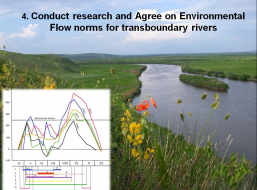 Develop Agreement on environmental flow norms for transboundary rivers of Dauria river basins. 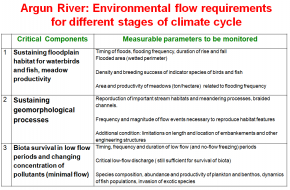 Also, work on provisions for sustaining natural dynamics when planning water allocation to wetlands.